What if you could have an entire group of people devoted to looking for and sharing viable business leads with you? If you’re a Chamber member, you can’t afford to miss out on the Chamber Plus Networks (CPN) leads groups we offer! The Chamber Plus Networks is a strong and proven program that helps increase your business sales, networking skills, and your referral base. The weekly or bi-weekly meetings include networking, new learning, leadership opportunities, exchanging business referrals and leads. A natural environment for both relationship and business building at the same time. Each year hundreds of thousands of dollars in business is generated from leads and referrals from within these dynamic and focused networks. Currently there are four active CPN groups at various times and locations throughout the greater Kitchener Waterloo area. No matter your daily schedule there is a group that suits your needs. Only one member from each industry may be in a CPN group, so there’s no conflict of interest or competition. To learn more about Chamber Plus Networks or to begin pursuing your own participation in one contact your Membership Representative, at 519.576.5000. You may schedule a one-time visit to the network of your choice to give it a try! It takes time to build relationships but the end result is well worth the investment and the effort! Who participates in Chamber Plus Networks? Business professionals, consultants, managers, owners, trades people, sales representatives, or anyone that shares the desire to increase their business through leads and referrals. What is Chamber Plus Networks? CPN is a networking group that allows you to promote and expand sales while at the same time increasing your sales/business knowledge by networking with like-minded peers. The primary purpose of CPN is to increase business through a structured system of leads and referrals. There is only one member per business category in each CPN group. When and where do Chamber Plus Networks meet? Why visit and join the Chamber Plus Networks? Because you want to increase your sales force and therefore increase your business and profitability. 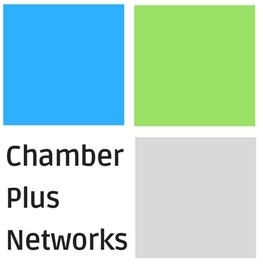 Visit us today and see Chamber Plus Networks in action! Do you have to be a Chamber member to join Chamber Plus Networks? Yes, these networks are exclusive to Chamber members. As a Chamber member, you are eligible to participate in a range of programs and volunteer opportunities at member rates. If you are interested in a Chamber membership, contact a Membership Representative at the Chamber at (519) 576.5000. How can I learn more about Chamber Plus Networks? You’re welcome to attend one of our Chamber Plus meetings at no cost as a guest. Contact your Membership Representative at 519.576.5000 for more information.